Trisha has over 15 years of experience in the financial services industry, having worked as a Client Service Associate at the Morgan Stanley Mandeville office for the last ten years. 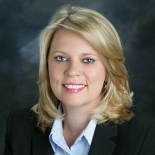 Prior to joining Morgan Stanley, she spent time at Wachovia and Central Progressive Bank in Slidell, La. Trisha grew up in Lacombe and is a graduate of Fountainebleau High School. Trisha plays an integral role on the team, as she is often the first point of contact for clients who may call in with questions about their accounts. She also assists advisors and clients in making sure that paperwork and documents are properly filled out and processed correctly. Trisha resides in Slidell and is the proud mother of a teenage son. She loves the New Orleans Saints and, in her spare time, she enjoys shopping or spending time with family and friends.